European equities are set to plunge as storm clouds gather over the global economy. Bad economic data is now being viewed as bad and the lingering dovish signals from central banks have started to be taken as a sign of weakness rather than a reason to ramp up stock markets. The risk of contagion for the US economy from its weaker counterpart across the Atlantic is unsettling the markets. As such, we saw the Dow Jones nose-diving 346 points to 16,629, with investors growing fearful about a deteriorating outlook despite clear signs of recovery, especially in the US. The major European indices are expected to gap more than 1% lower on the open, always a good indicator that today is going to be messy. Adding to the panic is the growing hysteria over the Ebola outbreak, where overnight news reports suspect that a British man in Macedonia has tragically died of the virus. If the reports are true, considering that he'd only been in the country for a few days and had never been to Africa, the logical conclusion is that he picked it up in the UK. Going into the weekend with so much uncertainty in the air will only further fuel traders compulsion to get out of risky assets and it would take a miracle for the bulls to salvage anything today. Maybe the corporate earnings season which just started in the US will shed more light on the issue. Stock markets are set to surge on the open as the FOMC's dovish minutes push back rate hike expectations. 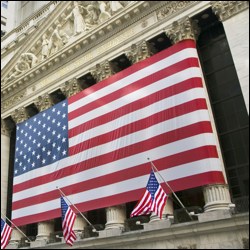 Huge rallies were seen in US indices overnight, with sharp gains for the Dow Jones adding 269 points to 16,983, effectively recouping the previous day's losses. The significant uplift in sentiment will naturally drag European markets higher this morning, however, whilst the bulls may get their day in the limelight, it doesn't necessarily mean that the recent sell off is over. It shouldn't have come as too much of a shock that the minutes were dovish given the surprisingly dovish statement released after the meeting itself. In fact, the spread betting markets made a short-term top in mid-September, shortly after the last FOMC meeting. Whilst loose monetarily policy should be a positive for equities, traders' new interpretation of central bank dovishness could be concern that the US economy is still weak enough to require it. European equities are set to slump as the global rout continued overnight. Given that US stocks recorded steep falls and Asian markets are currently deep in the red, it seems very likely that the negative sentiment will make its way onto European shores. The International Monetary Fund cut its outlook for global growth in 2015 on the back of increased geopolitical risk. In fact, the IMF laid it on pretty thick, citing everything from Eurozone stagnation to Ebola for downgrading forecasts and even topped it off with the cherry that global growth was 'weak' and 'uneven'. As always, investors got nervous when they heard about reduced growth prospects and sparked a sharp sell off in the Dow Jones which closed 256 points lower at 16,704. European traders appear to have come to the same conclusion and there has been no let up in the selling pressure this morning. We often see a bit of consolidation ahead of the FOMC minutes and a more dovish statement from the meeting could be an excuse to stay long, however, if the sell off continues and the panic accelerates, traders may decide to head for the exit. Equities in Europe are set to edge lower, tracking modest declines in the US overnight. The fact that we are seeing such a small negative start belies the huge amount of uncertainty in the markets at the moment. With central banks around the world deliberating about monetary policy, murky inconsistent economic data and stock markets flirting with correction territory, traders are non the wiser as to whether current levels represent a great buying opportunity or a bull trap. Ahead of the start of corporate earnings season, investors seemed a little nervous about the strength of the US economy, fearing contagion from its weaker European counterpart. As a result, the Dow Jones resumed its decline, losing 40 points to 16,962.5. Tomorrow's minutes from the latest FOMC meeting should shed more light on the issue. Friday's US employment report showed that the economy added 248,000 jobs, surpassing estimates for 216,000 jobs. On top of that, the service industry was still in expansion mode which reassured investors that the biggest economy in the world is on the right track. That renewed confidence immediately sparked a sharp rally in equities, with the Wall Street index rising by more than 200 points to 17,004. Following these gains, European stocks are set to open higher this morning as the positive momentum continues to resonate. Having said that, global equities had traded lower during recent sessions, so it's interesting that investors have drawn a bullish conclusion from something which could nudge the Fed closer to a rate hike. We have seen a fairly inconsistent reaction to economic data lately as traders struggle to make a reliable assessment of what good or bad figures should mean; today is likely to be no different. A batch of economic data out today in the form of German Factory Orders, EU Retail PMI and Sentix Investor Confidence are all set to show that the outlook for the Eurozone remains bleak. Our first instinct might suggest that this should be bullish as it nudges the ECB towards QE, but following Draghi's lack of enthusiasm at last week's press conference, could it just put the markets back onto their downward path?